View Dr. Hargreaves Curriculum Vitae. There once was a fire in a forest, the animals were in panic… they saw a hummingbird going towards the river, picking up some water in order to try to extinguish the fire. He repeated this gesture frequently and thoroughly. This story has been told by many as an example to be followed, with the idea being that we should always do our best, regardless of what the others may do. From the standpoint of managing emergencies and disasters, the actions of the hummingbird often cause disasters. However, several lessons can be learned from this small story. The hummingbird did not follow a previously defined Disaster Plan, which should have been constantly checked and all the animals should have trained according to the Disaster Plan. The animals did not work as a team. He worked alone, without following any protocol or command set. Therefore, he has used ineffective measures (he failed to extinguish the fire) and probably watched the forest burn down in flames, perhaps causing the deaths of many animals, and possibly himself. Using this story we can draw a parallel with real life disaster preparedness and emergency response. What has just been described is called “the Hummingbird Syndrome.” The Hummingbird Syndrome describes a crisis situation with no previous plans for preparedness, mitigation or prevention. In these situations, many people flee and some act as the “Hummingbird,” acting on their own instincts, based only on their beliefs. In most cases, they believe they are being useful and effective in their methods. The result will probably be disastrous. Many disasters can be avoided. By definition, disasters are critical situations where the response capability is lower than the magnitude of the main event. A small fire managed without the good practices can lead to a major disaster. We can classify crises and disasters, didactically, in four phases: Pre-impact, Impact, Post-impact, and Recovery. We live permanently in the Pre-impact phase, waiting for the next crisis or disaster. The question is not if they will occur but, where, when and why. We often believe in a Post-disaster phase, the worst has gone, forgetting that this phase coincides with the Pre-impact of the next event. Some of the activities that precede the Impact phase are, prevention, preparedness, assessment of vulnerabilities, threats and risks assessments, monitoring of critical situations, mitigation preparation, preparation of business continuation plans, and disaster and/or contingency training. In other words, what we should be doing now in order to avoid the next disaster. 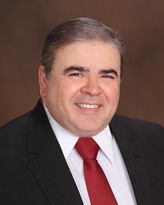 Luiz Hargreaves, AAS, MD, MS, MA is a qualified Expert in Crisis Management and Disaster Preparedness. He has been working in these fields for more than 30 years, with a large experience in major events, counterterrorism, disaster prevention and emergency planning.